Conductor Installation Services Ltd (CIS) has successfully completed a conductor installation operation 17 hours ahead of schedule for a leading North Sea oil and gas operator. Work was carried out on a major gas project in the Southern North Sea. 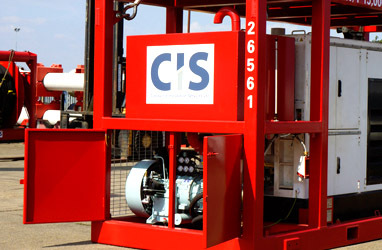 CIS was retained to install six 30-inch conductors on the project to form the foundations of six development wells. In addition, CIS was required to supply cold-cutting services, and all conductor-running, handling equipment, together with drive shoes. The five-member CIS crew worked with rig contractor Ensco and the operator to commence the first phase of the operation. Working from the jack-up rig Ensco 80, CIS used a 90 kJ hydraulic hammer to drive the first conductor to its target depth on the wellhead platform.